Saint Xavier University, founded by the Sisters of Mercy in 1846, is the first Mercy Institution of Higher Learning in the United States. It is Chicago's oldest Catholic University. 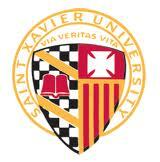 Saint Xavier University has many offices that support our Mercy mission. This guide gives access to these resources, materials from the Library's collection, and links to online content. The correspondence of Catherine McAuley 1827-1841. edited by Sister M. Angela Bolster. 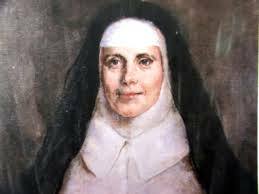 Letters of Catherine McAuley. commissioned by Mother Mary Regina Cunningham ; edited by Sister Mary Ignatia Neumann. Books about Catherine McAuley in the SXU book collection. A listing of books in the SXU catalog listed under the subject heading of Sisters of Mercy. A larger set of books located throughout the I-Share consortium under the subject heading of Sisters of Mercy. Call Number: BX4482 .C66 2014 and ebook version. Journal articles about the Sisters of Mercy (from our Core Collection fulltext aggregator, Academic Search Complete). Journal articles from the ATLA Religion Database (more discipline-specific journals). The Saint Xavier College self study : the liberal education of the Christian person : a progress report compiled by the combined faculties of Saint Xavier College and related elementary and secondary schools, submitted to the director of the Fund for the Advancement of Education. The Second Vatican Council, fully the Second Ecumenical Council of the Vatican (Concilium Oecumenicum Vaticanum Secundum) and informally known as Vatican II, addressed relations between the Catholic Church and the modern world. St. Peter's Basilica, Vatican City, from October 11, 1962 -December 8,1965. Shortly after this momentus event, many of the key theologians met on our campus for a "John XXIII Vatican II Theology Symposium"
A Theology Symposium: The theological task confronting the church today : March 31-April 3. 1966 Saint Xavier College. Chicago, Ill. : Saint Xavier College, 1966. Ten of the world's foremost Catholic, Protestant and Orthodox theologians participated in a 4-day symposium sponsored by Saint Xavier College. Each of the theologians delivered an address on a different theological problem confronting Christianity today. The talks were original contributions to the field, with concentrations on the development of doctrine as a prerequisite to the solution of theological differences and units. Some of the topics included combating atheism, women as priests, and the concept of God in relation to man. The Word in history; the St. Xavier symposium, by Burke, Thomas Patrick Published 1966. The Sisters of Mercy -- a short history and listing of Celebration dates. SXU's Catholic and Mercy Identity -- describes how a Saint Xavier University education is informed by Mercy traditions and identities; sets forth how the University aspires to be Catholic and Mercy in all areas of its academic and communal life. SXU's Office for Mission Integration and Mercy Heritage -- assists the Saint Xavier University community to be more focused on, intentional about, and accountable for pursuing its educational mission as a Catholic and Mercy institution. Sisters of Mercy -- official web site listing activities, and ways to become involved. Sisters of Mercy Facebook page. Sisters of Mercy Twitter page. Conference for Mercy Higher Education -- responsible for the preservation and development of the core Catholic identity and mission of Mercy higher education in accord with the spirit, mission, and heritage of the Sisters of Mercy. Mercy International Association -- an organization of the leaders of Mercy Congregations, Institutes and Federations throughout the world, founded to serve the Sisters of Mercy, their associates and colleagues in ministry. Wikipedia entry "Sisters of Mercy" -- contains an (incomplete) listing of affiliated world-wide schools. The Sisters of Mercy were founded out of a deep concern for persons who are poor. Today, that commitment is focused in five "critical concerns" that are addressed through prayer, attention to personal, communal and institutional choices. Sister Cathleen interview (mp3 audio) by Julia Gochee. We are building a finding aid and a database of selected images from our Archives photograph collection. Catholic Newspapers Online (CNO) links to more than two hundred newspapers, and provides easy access to current issues of many diocesan, national, and student newspapers. --the black and white checkerboard, and the diagnal gold bars are from the family coat of arms of Saint Francis Xavier, the Jesuit patron of Mother Frances Xavier Warde, founder of Saint Xavier University. --the University’s Latin motto of "Via, Veritas, Vita," “I am the way, and the truth, and the life” (John 14:6).